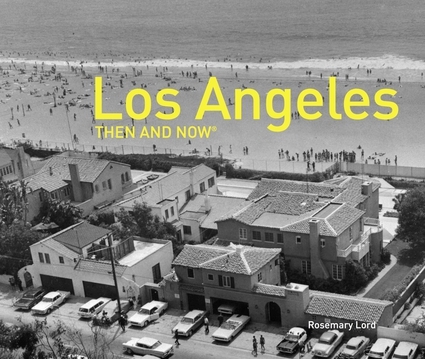 This book charts the development of the city from the days of orange groves and melon patches and isolated Spanish mission buildings, to the staggering metropolis of today. Sites include: Old Plaza Church, Olvera Street, Chinatown, Union Station, Los Angeles Theatre, Mayan Theatre, Angel's Flight, Los Angeles Public Library, Biltmore Hotel, Ambassador Hotel, Bullocks Wilshire, Brown Derby Restaurant, Hollywood Sign, Griffith Observatory, Sunset and Vine, Egyptian Theatre, Grauman's Chinese Theatre, Roosevelt Hotel, Schwab's Pharmacy, Beverly Hills Hotel, Witch's House, Thelma Todd's Café, Venice Beach, and Santa Monica Pier. Rosemary Lord has worked as an actor, journalist, and in senior publicist for Columbia Pictures. She is active in preserving Hollywood's landmark buildings. She lives in Los Angeles.